Five years ago, pizza businesses were taking over the South African food industry. Nowadays, it’s becoming harder for these companies to enjoy the big profits they’ve been used to. The sector is heavily dominated by franchise chains and household brands, so setting up an independent pizza business can be risky. To be successful, try to stay ahead of the market and offer something the bigger companies don’t. 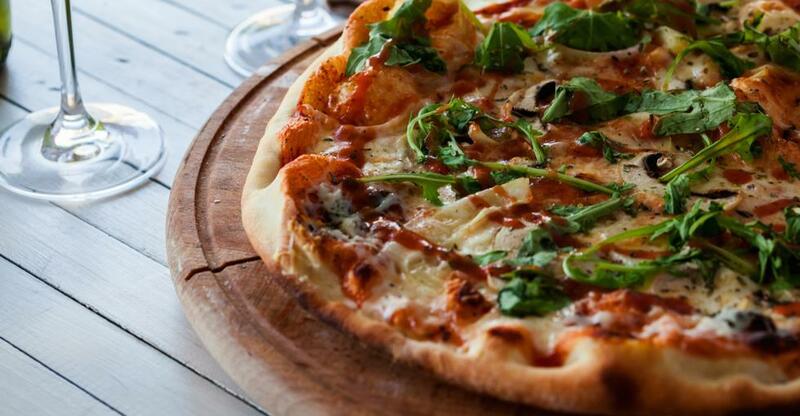 Pizza has been one of the fastest growing cuisines in South Africa, mainly due to its affordability and convenience. Domino’s Pizza first opened in 2014, with Pizza Hut following shortly after, re-entering the market after a six-year hiatus. Spur Corporation’s Panarottis pizza restaurants saw a 28% rise in annual sales in 2014; however, in 2018 sales dropped for the first time in more than five years. Price wars between the big pizza companies have made it harder for entrepreneurs to break into the market. Debonairs Pizza has been operating for 28 years, pioneering take-away pizza and the concept of home delivery, with more than 400 franchises, it is the leading pizza restaurant in Africa. To compete with these big companies as an independent, you need a USP to set you apart. Your competition will depend on the location of your business. If you’re based in a major city, expect to be up against a variety of pizza franchises. If you’re located in suburbs or rurally, your competition may be other food businesses. It can be hard to beat others with the competitive prices between the big pizza companies. So, it could be a good idea to compete in a different aspect like quality and taste. Offer your customers authentic, affordable woodfire pizzas to carve out a niche USP for your business. There are lots of other ways you can stand out: contact local farmers or suppliers who you can source your pizza topping ingredients from, or host pizza making classes at your restaurant. You should try to interact with your customers on a more personal level. Before you set out on your pizza business venture, have a clear idea of what the competition is already offering and what their brand is all about. You should then determine the demographics of the local area and what factors are important to them, e.g. affordability. Whether you plan to open a sit-down pizza restaurant or a delivery business, there will be similar operational procedures and skills you will need to have. Recruiting and training a hard-working, reliable team of employees is vital as they will be the face of your business. If you plan to be the sole business proprietor, expect to work long hours, especially during evenings, weekends and holidays. To maintain a good work-life balance you should train a manager who you can train to trust to leave in charge of the business in your absence. To be successful in the restaurant industry you need to be passionate about food, or hire a head chef who is. You also need to build up a good relationship with your kitchen staff because they will have a big influence on the business’s success and the quality of the food you serve. Invest in the branding and marketing of your business to promote the core principals of what your pizza business is all about. Building up brand awareness and having a strong social media presence will also help you to interact and attract new customers. Buying an established business can sometimes be a faster route into the market, but you need to conduct thorough due diligence and weigh up the pros and cons. What type of reputation does the business have in the local community? Do you need to renovate or hire new staff? You will also need to consider what licenses are in place, what fixtures and fittings will be included in the sale and who your competition is in the area. These factors along with the business accounts will help you to make a fair offer.